Nail, Beauty & Massage Salon in Newton Abbot, South Devon. 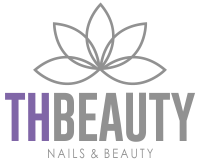 Nails | Beauty | Massage Salon in Newton Abbot at TH Beauty! We offer a wide selection of Beauty Treaments here at TH Beauty in Newton Abbot. Rediscover yourself with one of our amazing treatments. Get in touch to book your treatment with us today! Choose your facial from luxury, royalty collagen boosting or purifying, and let us do the rest! Lie back, relax and have your skin infused with some well deserved extravagance. The products we use contain high quality ingredients that enrich and nourish the skin. Upon consultation with your therapist here at TH Beauty we will make the treatment bespoke to you and your skin. We offer waxing from top to toe using the luxurious ‘Sienna X’ range. With a choice of warm and hot wax formulas, with the pre and post skincare system, your skin is protected and repaired throughout the treatment. The cleansing gel, soothing oil, dual purpose oil and cooling crème all play important roles. This range combines the highest grade of materials and ingredients to ensure even coarse hair is comfortably removed. So say NO MORE to painful waxing and YES to beautiful, soft, hair free sin! Choose your manicure and have your hands pampered with a treatment to suit you. From express manicures to the full works, our clients have the choice between polish or gel application. Our brand of choice here is IBD giving you long wear, shine and durability for the best nail look possible. Choose your pedicure and have your feet well and truly pampered with a treatment to suit you. A pedicure can remove dead skin, soften hard skin, shape and treat your toe nails and apply a polish or gel shade of your choice. From a simple soak to heated booties, we can offer a pedicure to give your feet the treat they really need. This treatment is fantastic for preparing the skin for pre holiday tanning, giving you smooth, fresh skin for an even glow in the sun. With a body brush and body exfoliation, this treatment helps to remove dry, flaky skin leaving it supple and silky soft. We have an extensive range of fabulous make-up on site, giving you the chance to include a mini-makeover with any of your treatments, the perfect chance for a pamper and preparation prior to a night out or special event! We want our clients to feel beautiful as they leave inside and out! Hello and welcome to TH Beauty. We are a beauty salon in Newton Abbot, South Devon offering services such as nails, waxing, massages and more. We always try to give our customers the best experience possible as we believe every needs to treat themselves and we wish to make the whole experience wonderful. Massage - Nail - Beauty Salon in Newton Abbot, South Devon.